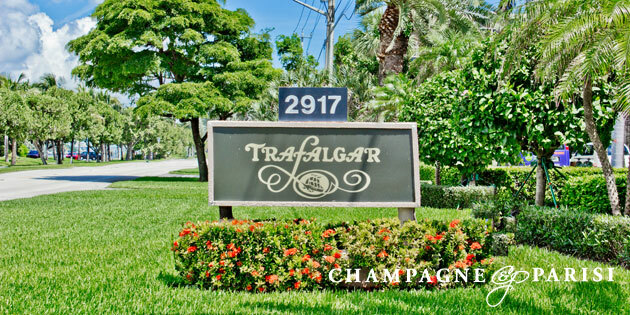 Live the life of luxury when you move into Trafalgar an exclusive waterfront community in Highland Beach, Florida. Located in the Southern part of Palm Beach County between the Atlantic Ocean and Intracoastal Waterway, Trafalgar Highland Beach is comprised of both condominiums and townhomes for your choosing. The 56 units that make up Trafalgar Highland Beach are absolutely exquisite. Residents won’t be disappointed when they move in their new home complete with large windows looking out into the ocean, private balconies for breathing in the salt air, gourmet kitchens with granite countertops, marble floors, designer lighting, and oversized master bedrooms. Trafalgar condos and townhome community offers its residents resort-style amenities that are some of the best in town. Residents can lounge in on the sundeck soaking up the Florida rays by the heated swimming pool, or they can get a rush of ocean waves on a private beach that only they will have access too. Trafalgar Highland Beach also provides a fitness center, sauna, shuffleboard court, spa, storage room and underground parking. Safety shouldn't be a concern with 24 hour manned security and doorman for residents. Waking up to the ocean breeze, and looking out in the sunset from your balcony can become a part of your everyday life at Trafalgar Highland Beach! Moving in Trafalgar will be the best decision you make. Whether you are on the property or exploring the surrounding city you will always have something to do. Highland Beach is centered between Delray Beach and Boca Raton, two major cities in South Florida. Residents of Trafalgar can enjoy dozens of unique shops, fine dining, cultural exhibitions, and nighttime entertainment that span across the area.